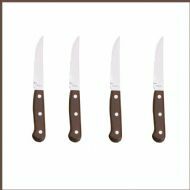 Restaurant Quality 4 STEAK KNIVES with Ultra Sharp Blades. 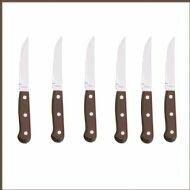 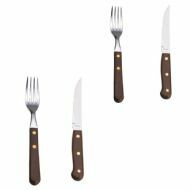 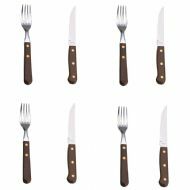 Restaurant Quality 6 STEAK KNIVES with Ultra Sharp Blades. 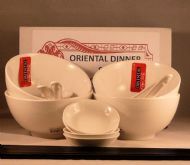 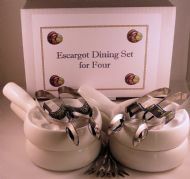 NOW IN STOCK Snail, Escargot Dining set for FOUR 4 Vitrified Ceramic 6 hole dishes, 4 snail tongs, 4 snail forks. 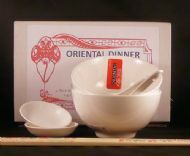 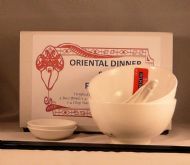 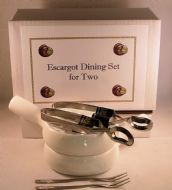 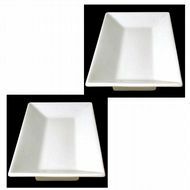 NOW IN STOCK Snail, Escargot Dining set for TWO: 2 Vitrified Ceramic 6 hole dishes, 2 snail tongs, 2 snail forks.